Mesh Blinds allow you to enjoy the view whilst providing up to 95% protection from the sun, wind and rain. 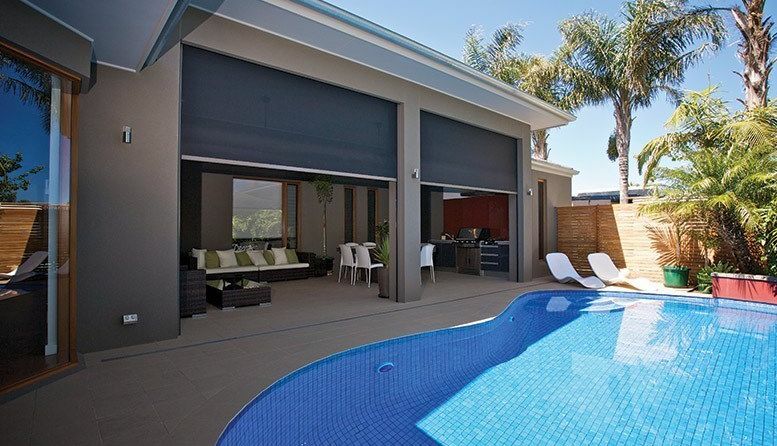 Mesh blinds are outdoor blinds, made from a woven mesh fabric providing greater privacy than pvc blinds and are available in a range of popular colours. 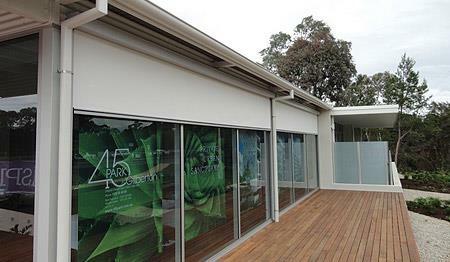 A great solution for your alfresco outdoor living space, mesh outdoor blinds, (sometimes called shadeview blinds or shade blinds) are easy to operate by one person; in one easy action. Mr Blinds use and recommend the Zipscreen Blind system with no ropes, no pulleys, no buckles and no crankshaft mechanism which means you can raise and lower the blind to the height you wish with minimal force. All fixtures and fittings can be colour matched from the Colorbond® or Dulux® powder coated colour range to complement your existing furniture or outdoor living colour scheme. To request a free no obligation measure and quote on our outdoor blinds, please contact us today.